“It was an ambush.” Thom Yorke’s soft wails permeate throughout “Harry Patch (In Memory Of)”, Radiohead’s first studio recording since In Rainbows. The tribute to the late British combat soldier Harry Patch is coincidental and timely, as the song was recorded just before his passing in late July. He was 111-years-old. Patch, the alleged sole survivor of the first World War, spoke to the BBC in 2005 and began discussing his war experiences for the first time, nearly 80 years after the fact. Soon the war veteran became a diplomat of sorts, telling stories of the horrors he had witnessed in France when a bomb struck and killed his entire unit. Moved by the BBC interview, Yorke took it upon himself to record a song incorporating a selection of the soldier’s own words, using an innocent and youthful falsetto. The sounds of history resonate amidst theatrical clamor, sending the listener to another place, enabling clear-headed meditation and a time for reflection. What not to expect, however, is anything emblematic of Radiohead. The orchestrated string-and-vocal creation is without the complete cast of usual suspects, much like Yorke’s recent debut of another new song, “The Present Tense,” at July’s Latitude Festival. 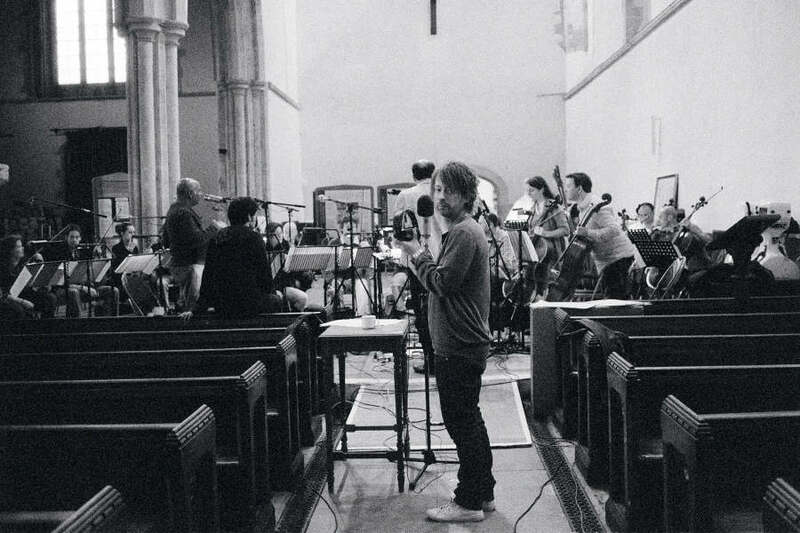 Radiohead’s Jonny Greenwood arranged and recorded the heavy string sections in an abbey, generating monastic atmosphere similar to his work in Popcorn Superhet Receiver. That composition debuted alongside material from There Will Be Blood at St. Paul’s Cathedral in New York City early last year. The track is currently available for listening via stream on BBC.com and can be purchased for the small lump sum of one British pound (that’s just shy of $1.70 U.S.) on the band’s website, much akin to their pay-as-you-want initial release of In Rainbows in 2007. What do you think of the new Radiohead track? Let us know.